Currently, when delivery is made to the customer, delivery boy captures the delivery details in pre-formatted delivery sheet. Then delivery boy submits the ‘delivery details’ in the Warehouse. From Warehouse, details are collected and sent to the Head Office. 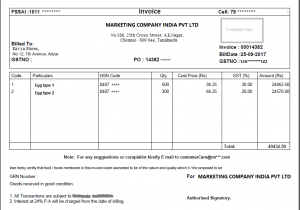 There, delivery details are captured in ERP and Invoice is generated. 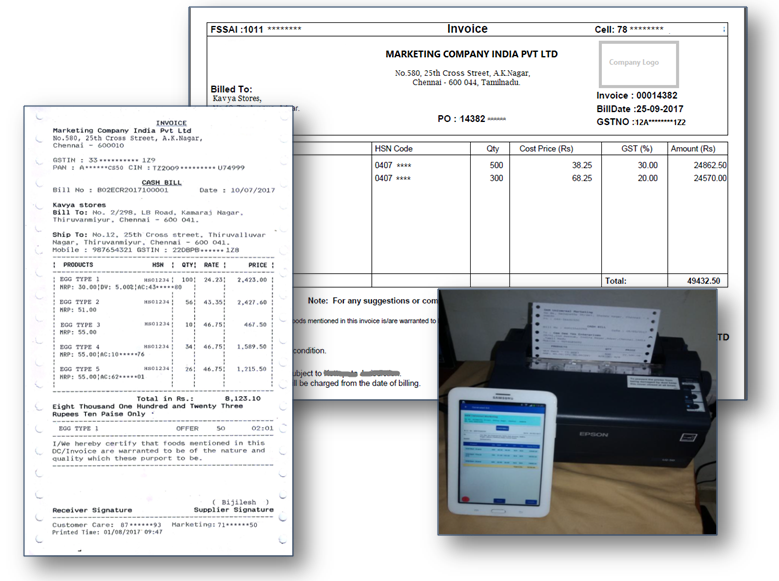 Generated invoices are sent to warehouse as a hard copy, which will be given to the customer through delivery boy to get a payment in subsequent visits. 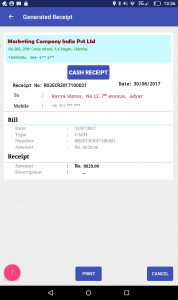 After payment is made, this similar process is again continued to send the receipt to the customer. After a long wait, customer receives the receipt for the payment. This process took atleast 3 days to complete. By cutting down this 3days process, SDMS reduces cash cycle and working capital requirement. Delivery boy captures delivery details of the visited shop. After all delivery is completed for the shop, bill is generated immediately in the app and send to the server in real-time. Based on the shop’s selcted bill type, bill will be generated. 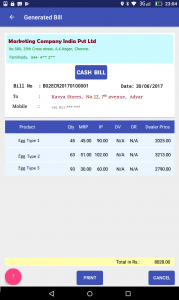 For Kavya Stores “Cash” bill type is selected. If the customer wants to change the type, delivery boy can change it while updating the delivery details. 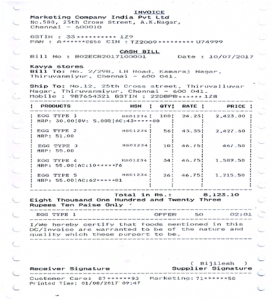 Bill number is generated respective to the bill type. 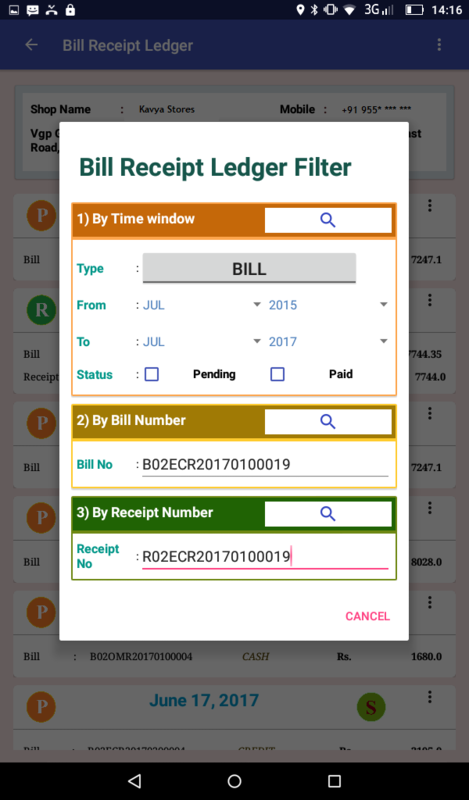 App shows the list of bill and receipts of each customer for 1 month. 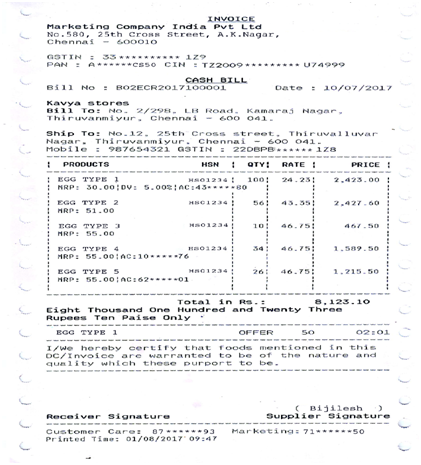 You can get more bills from the server to view old bill receipt records of customer. 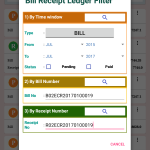 To get exact bills choose time window of BillReciepts, Bill number or Receipt number. When delivery boy collects the payment and updates the bill as soon as receipt is generated and data is synced with server in real-time. 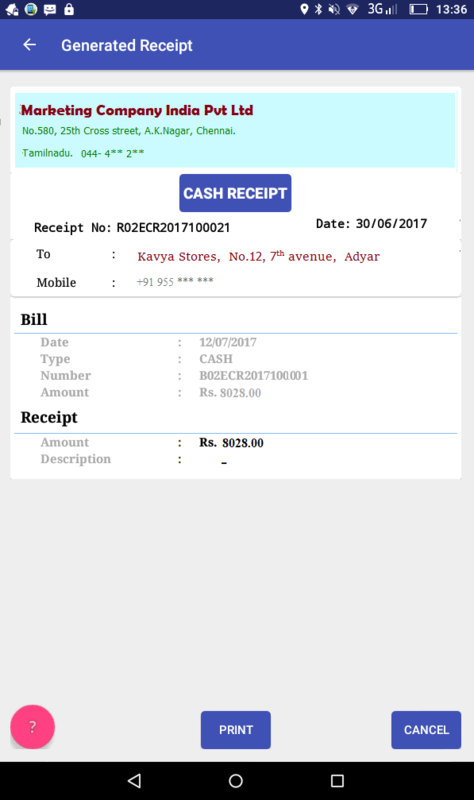 System supports DD/Cheque/Online receipt types. 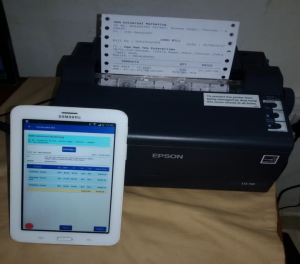 Mobile is wirelessly connected with the printer which is attached in the truck. 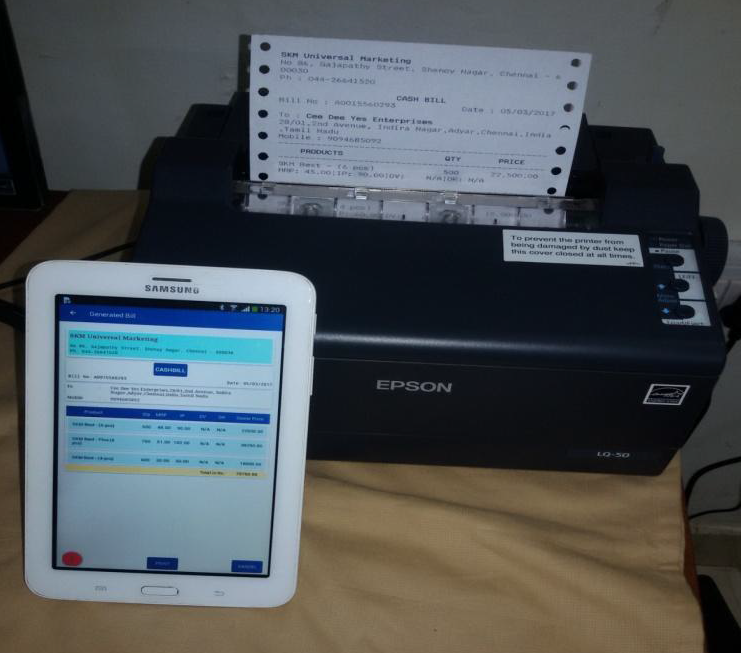 Print the Invoice and Receipt using our SDMS android application, give it to customers on-the-spot after sales order taken or delivery is done. 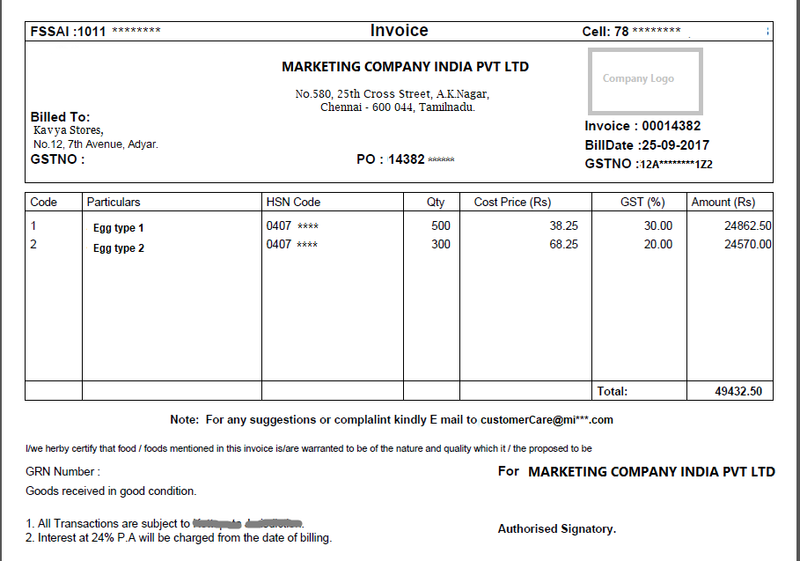 You can Generate invoice for ordered items at back office also.